The computer is an indispensable part of everyday office and private life in 2017. Everyday, enormous amounts of data is created, stored and transported - and not always successfully. With the exclusive personalised USB sticks from allbranded you are provided with loss-free storage of data. Whether pictures, MP3s, CVs or other important documents - they all find space on the selectable memory sizes. Print our USB sticks with your brand or slogan and distribute these digitally trendy storage devices to win over new customers. From classic models to integrated bracelets, you have a large selection to choose from and get started on your sustainable and successful marketing campaign. For the incredibly low price, the branded USB flash drive offers us to carry data wherever and whenever we want due to its small, compact and portable nature. Equipped with these properties, the memory stick has secured the status of a genuine allrounder for daily use. We routinely use the flashdrive instead of its bulky frontrunners including CDs. Thanks to allbranded your company has the chance to utilise the mass storage devices not only for its primary function but also for promotional purposes. Used as promotional products at computer fairs, corporate parties and other events as well as being suitable promotional gifts whether printed or engraved. Memory storage devices came to being in the 1960s, where such accessories were priced at around £50. With the popularisation of not just computers but its accessories; there prices have plummeted and are now regarded as a necessity for both work and personal use. Its frontrunner being the floppy disk, developed in the 1960s were not only far larger (although low in width). Compared to our current forms of storage, the floppy disk had extremely low space for memory and was replaced by CDs and eventually what we see as the flashdrive invented by Dov Moran, an Israeli entrepreneur. As an promotional desk product the branded USB stick is perfectly in line with the needs of your customers, employees and business partners in the digital world. It is therefore characterised, without question, by usefulness in everyday life and at work, like no other giveaway. It offers plenty of space for text, music, videos and program files and is therefore not restricted to any target group. This generates a large number of customer leads and lays the foundation for long-term use as well as a long-lasting advertising effect for your brand. Branded USB Sticks can be used as promotional products in a wide range of industries, for many occasions and for different target groups. You can, for example, distribute these to computer/laptop outlets as free advertising gifts and therefore serve as free add-on sales. In addition, this product also has a binding effect on the relationship between the company and its customers. Printed with your logo these flash drives are exclusive advertising media that make your company known in private as well as in the professional environment of the buyer. There is an abundance of promotional desk items on the allbranded website, including logo printed stress balls or always useful promotional sticky notes . Would you want to present your longstanding customers with an appreciative token during Christmas? Why not gift the branded USB stick with your logo as a symbolic gesture to customers, employees or business partners? The USB-Sticks available in our online shop correspond to the current standards in speed and data and durability. You have a large range of colours available to create a promotional item that will be able to reflect your corporate design to the tee. This is important in securing the recognition value of your business to your target group to remember you. 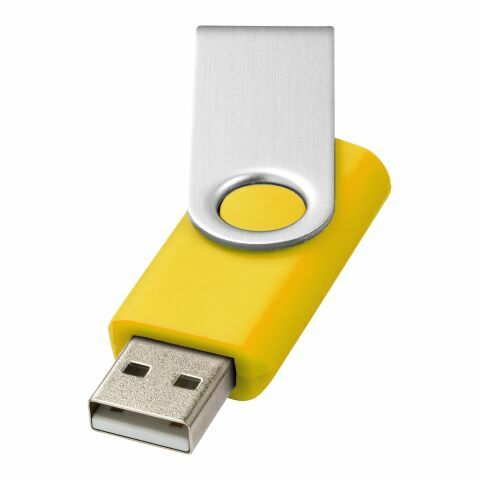 So buy your desired flash drive now and invest for in your marketing campaign!